News Update Chip In is a subscriber based publication delivered by email to a subscribers inbox. If you want to look back over past Issues you can. 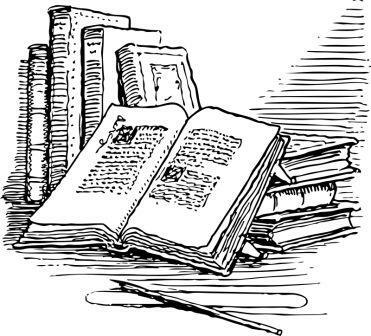 News Update Issues for 2018 are listed under email Newsletter Library on the Volunteers page of our website. Click on an Issue to read it. On Sunday 8th September, 48 golfers participated in a 9 hole Ambrose tournament, sponsored by Saw & Mill Bowling Club in Cooroy. After a shotgun start and 9 holes in perfect conditions, we adjourned to the bowling club where we were very well looked after. Congratulations to the winners on the day..... Paddi Gannon and Steve Parker. This is going to be a 3 monthly event, so get your teams together for the next one - watch for a promo flyer on our website ‘What's On’ noticeboard. Thank you Saw & Mill for a great day and your support and sponsorship. In this issue we introduce Brendan O’Brien, one of our green keepers in his third year with the club. Brendan is married and lives at Sippy Downs with his wife of 11 years, Trisha, and young son Andy who is 7. Prior to joining our Greens Staff, Brendan worked at Proserpine Golf Club in North Queensland. He was raised in Ipswich and also worked on the sports ovals of Ipswich Grammar School early on. Brendan clearly has a lot of experience in turf management particular on golf courses, and is a qualified green keeper. When visiting the Shed to join the boys for morning tea, you know they are in there from the laughter coming from inside, often initiated by a joke or comment from Brendan. He is extremely knowledgeable on cricket and is always open to a chat on that topic. And like most of us, he enjoys playing golf and a spot of fishing. 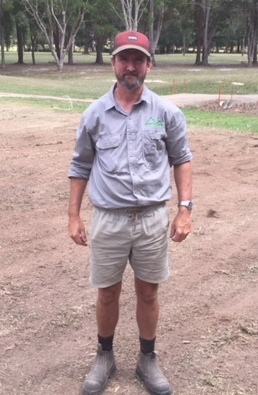 Brendan is a much valued member of the Greens Staff at Cooroy Golf Club and is an integral part of the team that is making our course better by the day. I recently played with a chap who continually topped the ball along the ground just a few metres. Sometimes he missed the ball altogether. As the round went on and his frustration grew he constantly berated himself for 'not keeping his head down'. 'Your bad shots have nothing to to do with your head' I said eventually. 'You are keeping your head down. Trouble is the club head is not getting down to the ball.' I'll show you what I mean. So I videoed his next shot on my tablet (now that I'm a techno wiz) and played it back to him frame by frame. He was very surprised to see, in the impact area, that he was keeping his head down but gobsmacked to see, when pointed out to him, that his arms were so bent at the elbows the club head could not possibly reach the ball. The more he forced his head (and upper body) down, the more his arms collapsed, the handle of the club came back toward his body and the club passed over the ball. Golfers obsess about the head. Watch your playing partner next time out. You will see very little excessive head movement. The best golfers, in fact, understand their head will drop a little on the down swing then rise up as they swing through the shot. But their eyes will be fixed on the ball and their arms will stretch out to extend the club through the impact area even as their body is rising up into the follow through. Vets motto - Age only matters if you are wine or cheese. After a weather affected round 1 the 2018 Vets championship has been decided with Gary Dwyer putting in a very good performance: Congratulations to all the winners. Competition cancellations and weather affected fields have seen the Vets play 513 fewer rounds this year with competition fee income falling by $6,254 which flows on to lower green fees paid to Cooroy Golf Club and less money spent at the club. Wednesday fields are averaging 73, down from 78 last year and 80 in 2016. 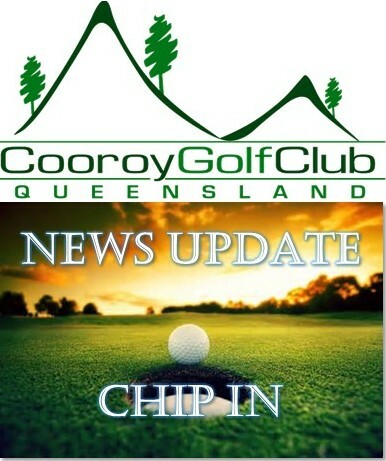 On a more positive note, members are spending credits in their member account moving it to revenue and making a real contribution to the Cooroy Golf Club bottom line. The Vets have paid around $7,500 in winnings into member club accounts so far this year. This spend by all members has seen a significant reduction in balances sitting in member accounts to ~$2,000 from ~$11,000, a very good outcome for Cooroy Golf Club. Keep spending those credits, it saves carrying cash! The Sunshine Coast District Veteran Golfers Association is the largest veteran golfer district in Australia with ~2,000 members. Most veteran golfer clubs on the Sunshine Coast report lower field numbers. The impact of weather is significant but not the only reason. Reasons suggested include; increasing total cost of playing, too much golf, travel (the District extends from Pelican Waters to Tin Can Bay) and playability of a course. Spending five hours or more playing a difficult or poorly presented course is not particularly attractive to over 55’s. And, as a retired demographic, there are family commitments and other opportunities to enjoy life outside golf. Our membership base is lower but we have a solid, albeit smaller, core of regular players so we still enjoy a good participation rate despite lower field numbers. Golf Australia research in the report summary further down in this Issue provides some interesting insights. September news FROM THE SHED is available on the website Noticeboard - follow the Read more link below. A summary of achievements and planned activities is provided below. Prepare area in front and to right of 4th Tee for a green couch nursery. Construction is underway so please stay well clear of the area. A very successful day on 17th September continuing the work of raising the tree canopy (Job J15). We can now see through to the 16th fairway and green from the 17th fairway. Our thanks to the following ladies for their efforts and a great morning tea: Rosemary Caffyn, Carmel Clarke, Anne Kenzler, Wendy O'Hare, Aileen Morton, Desley Walker and Terri Cairns. Thanks to gents: Peter Buchbach, Graeme Caffyn, Don Clelland, Alan Kenzler, Jim Henderson, Jim Henderson, Wayne McKinnon, Graham Laing, John Cairns and Dave Lyons. With some 35 mm of much needed rain over the past month staff have been busy locating drainage and repairing where necessary. Extra drainage inspection pits have been added to monitor water movement. Solid tyne cored to all wet greens to reduce compaction to top surface of green. Irrigation extension to 13th tee completed to allow the sprinkler to cover the whole tee area. If you haven't already noticed, a Hole by Hole guide with tips for playing holes 1 to 9 is available on The Course webpage. The guide aims to provide just enough information to assist a player to produce the best result for their skill level. For example, where to play the ball and where not to play it. Perhaps the simplest advice is ‘keep it on the fairway’. Feel free to provide feedback. Of course blaming the guide for poor play is a bit like blaming the caddy for your club selection - humiliation is the essence of the game of golf! If you are interested in contributing to writing descriptions and tips for holes 10 to 18 let us know by replying to this email. Each year Golf Australia produces a participation report. Some highlights from the latest report. 389,672 club members Australia-wide comprising 80% male and 20% female, a drop of 1.1% from 2016 with declines of greater than 1% in most districts across the country. Average annual decline of 0.7% over past 5 years. Whilst these are small percentages the cumulative affect on numbers over time is significant. Regional areas recorded an overall decline of 1.5% whilst metropolitan areas fell by 1%. Reported member numbers for social clubs have increased from 18,018 in 2013 to 22,288 in 2017, representing an average annual increase of 4.3%. Social club members now account for 5.7% of total club members across Australia, up from 4.5% in 2013. Declines reflect the challenges facing traditional sports from a range of societal and demographic pressures. Numbers in Queensland remained steady with 6 of the 14 districts in Queensland experiencing a net increase in membership numbers. 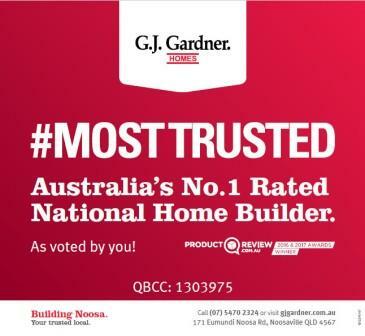 The Sunshine Coast experienced the strongest result with 2.2% growth. The average size of regional course based clubs in Queensland is 275. 10.5 million golf competition rounds were played across Australia in 2017, up slightly on 2016. Typically course based clubs operate under a membership model. With the fast growing social golf segment and changes in lifestyle expectations and choices it may be time to challenge this traditional business model and provide greater flexibility! The challenge is attracting more social players to Cooroy both as individuals and as groups! Sponsors are important to the success of Cooroy Golf Club as they make a significant contribution to club income allowing us to do more than we could otherwise. We offer a range of sponsorship packages and opportunities that provide value and can be tailored to best suit the promotional objectives of a business. Through NEWS UPDATE CHIP IN we will provide more detail about our sponsorship program and packages available. Listing on our web sponsor page with link to help push potential customer traffic to sponsor website. Listing on highly visible sponsorship board in clubhouse. Opportunity for business promotional articles in our newsletters. You access our Web Sponsor page from the right side bar of our website or click the button below and then visit each sponsors website to understand their services and what they have to offer. Cooroy Golf Club appreciates the support of our web sponsors. You can thank them by supporting these companies. Before consulting the Yellow Pages or internet check out if one of our sponsors can help. Don’t forget to mention Cooroy Golf Club. 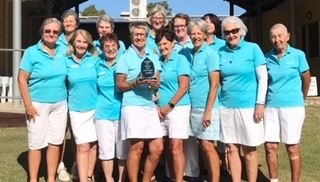 The final NCLZGA Nett Pennant was played and won at Tin Can Bay this month. A fantastic effort put in by many Women of Cooroy throughout the year. A playoff now against the southern Zone will take place at Murgon on the 4th November. The 4BBB Stroke Championship has concluded with Judy Kitcher and Jan Galvin very clear winners. Congratulations to both. The men and women’s Match Committees will be getting together in the near future to discuss how best to apply certain areas of the new rules to be implemented on 1st January 2019. Members will be informed and local rules, new rule books and handouts will be circulated in due course - stay tuned.